The last week of trading of 2017 looks to be ending near all-time highs, and with markets well placed to continue this form into 2018. The Russell 2000 is looking primed to jump higher with strong pressure at resistance. Of the indices, it's best placed to break higher - negating the November 'bull trap' in the process. 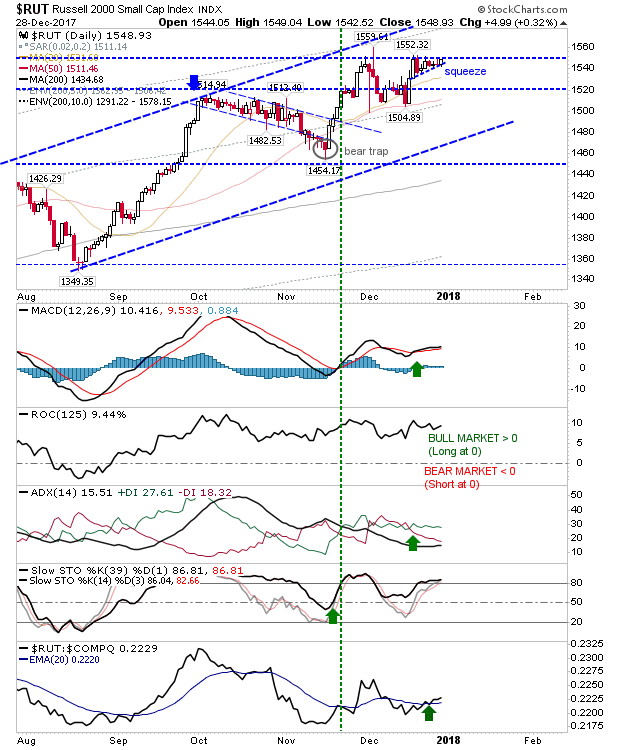 The upper channel line is the target for the breakout. Shorts will need a downside break of the squeeze line with a stop above 1,560. The S&P is also ready to move higher to follow with a push to channel resistance. 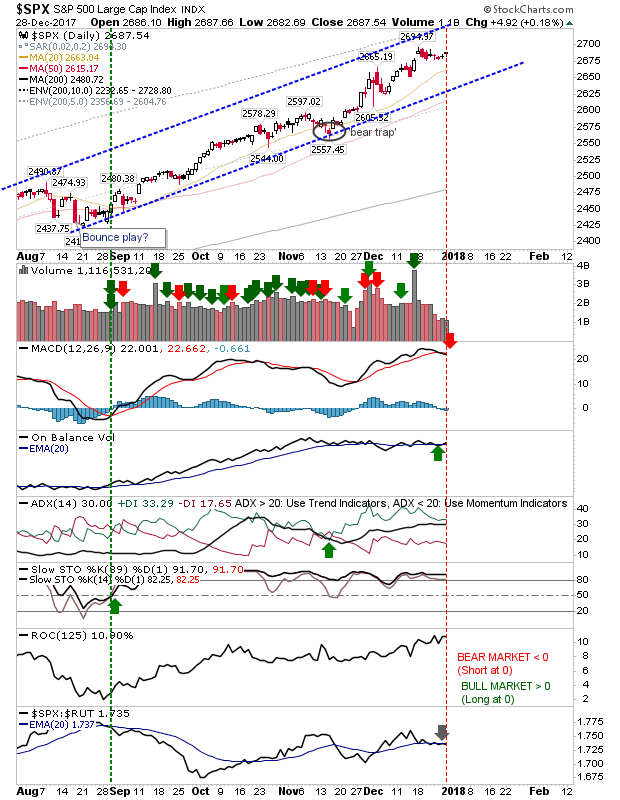 There is a MACD trigger 'sell' to manage but as this occurred well above the bullish zero line it's unlikely to see more than a buy-worthy pullback. 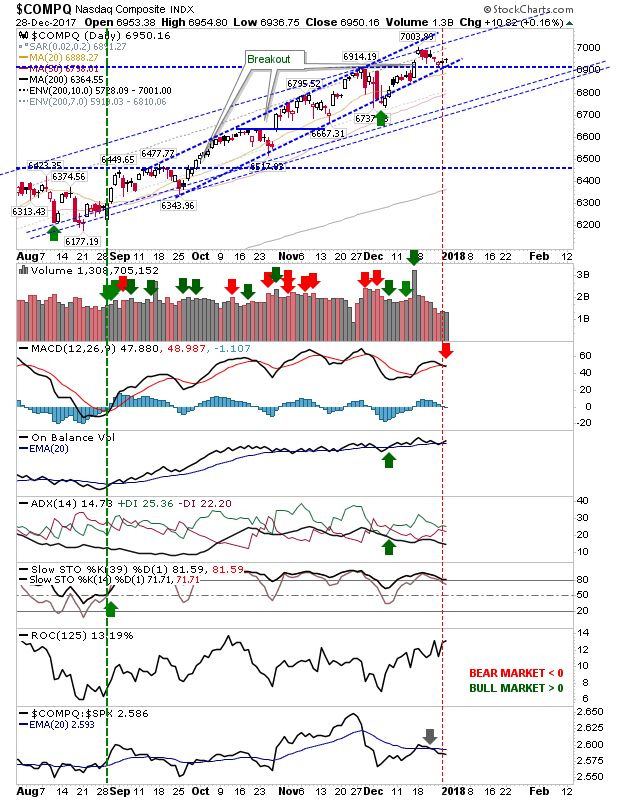 The Nasdaq is running along rising channel support (of the narrower, faster channel); it's also holding above 6,900 breakout support in an area which could be viewed as a buying opportunity. As with the S&P, it does have a MACD trigger 'sell' to work off which may keep some wannabe buyers away. Shorts have the Dow Jones Industrials average to look too. This index is trading at channel resistance which is a natural point to be a seller, profit taker or short. It too has a MACD trigger 'sell' to work with. 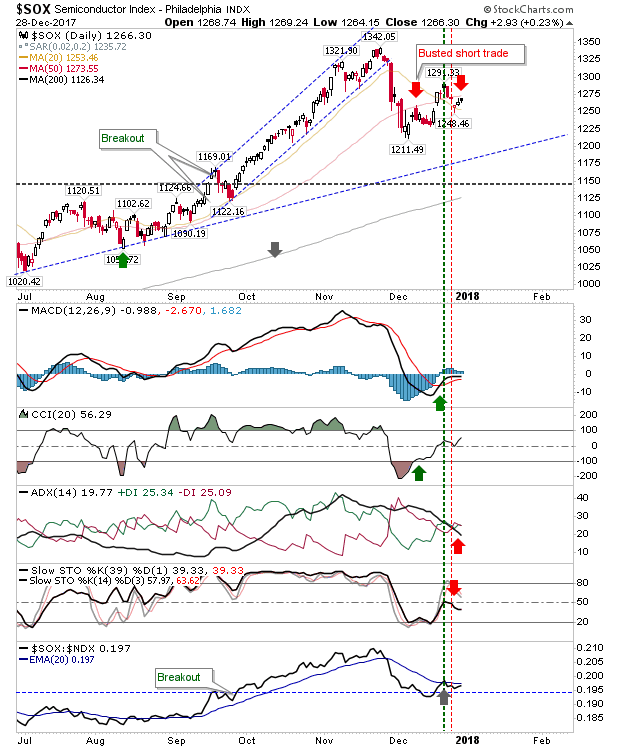 The Semiconductor Index has reversed off the mid-line which is typical of a bearish market phase. The index has seen the first of its short trades busted but it looks to have created another with risk measured using a stop above 1,290. 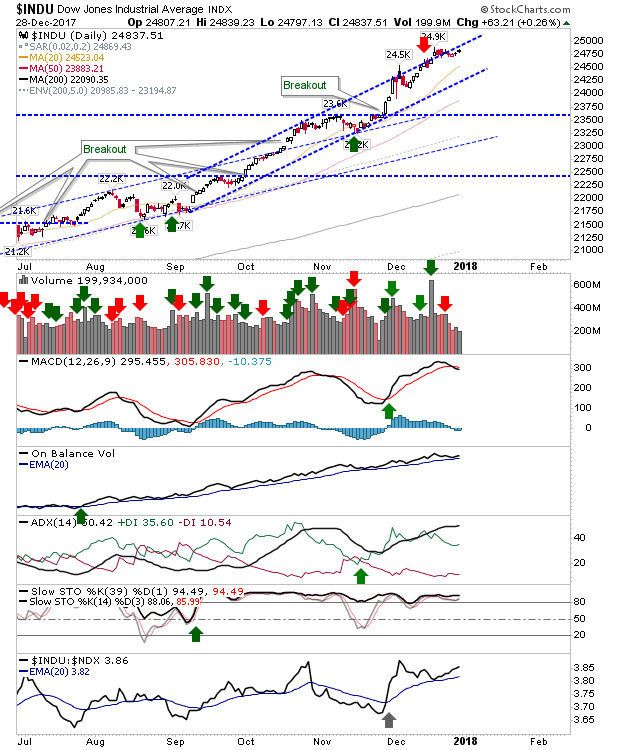 For those looking to take advantage of the last trading day of the year then shorts can look to the Dow Jones Industrial Average and the Semiconductor Index while longs can buy the Nasdaq and the Russell 2000. Best potential trade is probably the Russell 2000 one.